The newest recording of Rodgers & Hart's musical comedy classic BABES IN ARMS (see p. 1) features the '99 New York City Center Encores! cast headed by David Campbell, Erin Dilly and Melissa Rain Anderson, giving socko renditions of ""Where or When,"" ""The Lady is a Tramp,"" ""Johnny One-Note,"" and more (DRG)...The '99 Australian cast album of THE SOUND OF MUSIC, recorded live and starring Lisa McCune and John Waters, was released late last year from BMG...Still new in stores: the award-winning revivals of OKLAHOMA! (Relativity) and ANNIE GET YOUR GUN (Angel). 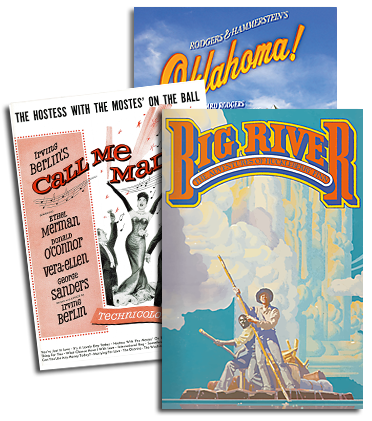 The two movie soundtracks for STATE FAIR - 1945 and '62 - have been remastered and reissued on one CD (Varse Sarabande) as part of the ongoing ""Fox Classics"" series...Later this spring look for a fresh crop of reissues from Decca Broadway, including the original Broadway cast albums of OKLAHOMA!, CAROUSEL, ANNIE GET YOUR GUN, THE KING AND I and ONCE UPON A MATTRESS...Decca Broadway has also drawn from its vaults for the love-fest compilation, BROADWAY'S GREATEST LOVE SONGS, including ""People Will Say We're In Love,"" ""If I Loved You,"" ""They Say It's Wonderful,"" ""Memory,"" and ""She Loves Me,"" among other titles from our catalogue...Proving that romance is in the air, RCA Victor is taking its own shot at Cupid with BROADWAY IN LOVE, including Richard Rodgers' ""Something Good"" (both albums due before Valentine's Day). TONY BENNETT SINGS: RODGERS & HART (Rhino) features 13 tracks of previously-released cover versions of such standards as ""This Can't Be Love,"" ""My Romance,"" and ""Mountain Greenery""...Wesla Whitfield also devotes her newest album to the immortal songs of Rodgers & Hart; WITH A SONG IN MY HEART (Highnote) features her fresh takes on such titles as ""Spring Is Here,"" ""Thou Swell,"" and ""Blue Moon"".... ""My Funny Valentine"" haunts the new film the talented mr. ripley; star Matt Damon's rendition can also be heard on the CD (Sony Classical). Later this spring, RCA Victor will release GRATEFUL: THE SONGS OF JOHN BUCCHINO featuring performances by Ann Hampton Callaway, David Campbell, Michael Feinstein, Art Garfunkel, Adam Guettel, Andrea Marcovicci, Daisy Prince, Lois Sage, Jimmy Webb and others, accompanied by John Bucchino himself at the piano. Linda Ronstadt features ""My Funny Valentine,"" ""It Never Entered My Mind,"" and ""Little Girl Blue"" on her anthology, BOX SET (Elektra)... George Michael sings ""Where or When"" on his new album, SONGS FROM THE LAST CENTURY (Virgin)...Sally Mayes celebrates three songs by John Bucchino (""Sweet Dreams,"" ""Once Upon a Time,"" and ""Painting My Kitchen"") on her new album, THE STORY HOUR (Varese Sarabande)...Patti LuPone also includes three Bucchino songs on her newest album, MATTERS OF THE HEART (LayZLay/Varse Sarabande): ""Unexpressed,"" ""This Moment"" and ""Playbill""... Audra McDonald's second solo album, HOW GLORY GOES (Nonesuch, February) takes its title from a number in Adam Guettel's score for FLOYD COLLINS, and also features ""Was That You?"" by Guettel and Lindy Robbins, and ""When Did I Fall In Love?"" by Jerry Bock and R&H Music's Sheldon Harnick... Kathie Lee Gifford's new album, BORN FOR YOU (On the Lamb Records, February) will cover ""Not Exactly Paris,"" ""Sweet Dreams"" and ""I Got Lost In His Arms""...That Berlin gem will also get a new cover in Jaymie Meyer's album, WHAT YOU'D CALL A DREAM (Original Cast Records, May), as will ""How Deep is the Ocean?""... The angelic-voiced Angelika Kirchschlager sings ""Edelweiss,"" accompanied on guitar by John Williams, on her newest album, WHEN NIGHT FALLS (Sony Classical). 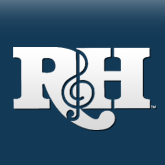 The several thousand songs administered by Williamson Music and R & H Music can be found with their own interactive database at www.williamsonmusic.com. If you have recently heard a new version of one of our songs that isn't noted here, please let us know by e-mail to editor@rnh.com.